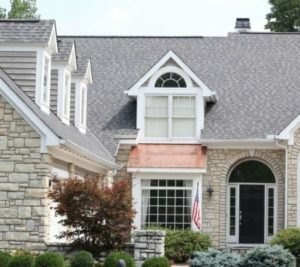 If you are in the market for premium replacement windows for your home in Cincinnati or a nearby area of Ohio, look no further than Advantage Roofing & Home Exteriors. Since 2001, we have been providing customers with top-of-the-line products for their homes, and we’ll be excited to do the same for you. All of the replacement windows we offer are locally made by the experts at Vinylmax. Partnering with a local company helps us to better serve our customers, as it allows us to send out a technician directly from the manufacturer if there’s ever an issue with a window. What’s more, our windows can be customized to meet your specific needs. For instance, if you want enhanced energy efficiency and noise resistance, we can upgrade your windows with insulated vinyl sashes. No matter which style window and upgrades you’d like, you can expect to receive premium products that will be installed by experienced professionals. We’ll make certain your windows are installed correctly and in a prompt fashion so you can begin enjoying your new home upgrades as soon as possible. If you would like to learn more about the replacement windows we offer to homeowners in the Cincinnati, OH, area, contact Advantage Roofing & Home Exteriors today. We’ll be happy to answer any questions you have and schedule you for a complimentary consultation.